Vegetation reclaims the land around ancient Asian temples. Turrets built during the Second World War rot into the cliffs overlooking ships that lay battered and broken against the rocks, where angry waves warn off any thought of escape. And the diaries of countless inhabitants throughout time are scattered across the ruins of an island rich with a dark history. 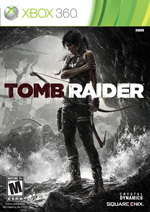 While Lara Croft’s first expedition uncovers an island prison run by years of stranded inmates, she also discovers a landscape that abandons the idea of singular globetrotting digs offering a sterile glimpse into frozen pockets of time, instead uncovering a complex web, where the strings of history intertwine around a mystery beating a rhythm of madness heard across the entire island. And while Lara unearths the pieces to this puzzle, the franchise mirrors her efforts with a dig through the more recent history of the medium. It doesn’t take a gaming archeologist to see the influences running throughout Tomb Raider, particularly the unsteady ground and quick time events that fed Uncharted’s cinematic flow. But as a student of history, Tomb Raider isn’t looking to simply copy answers during the test. Pursued by the island’s savage inhabitants, Tomb Raider opens with Lara on the defensive, and encourages stealth even as she begins to find the means to fight back. There’s a pervasive dip into survival horror, with Lara crawling through the darkness, waiting for the opportunity to sneak behind opponents in order to silently strangle them with her bow. Many of the game’s quick time events clutch at a legitimate sense of panic as players hit the left and right triggers to keep Lara scrambling toward light at the end of a tunnel or hit a button prompt at the right moment to fend off an attacker. There’s something very personal about these early moments, bred in the difference between trying to land a punch and simply fighting for a chance to escape. As players make their way up a mountain path with Lara’s hands bound behind her back, hiding behind cover as men search the area for her, every step forward is about survival in a game where the initial goal is to simply stay alive. 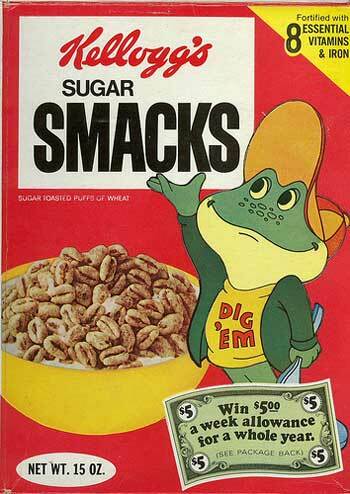 In a sense, I’ve played this game before. Hiding under cover while impatiently waiting for lazy guards to walk away. But I’ve never played a game that so successfully enforces an initial idea of helplessness, so much so that finally laying hands on a pistol is cause for rejoicing – though that sense of relief is short lived. It’s not unusual to initial limit a player’s power and allow them to slowly build abilities, but Tomb Raider goes against the grain in early sequences where Lara is completely powerless, with the player merely trying to move her forward in some desperate search for safety. What role Lara’s gender plays in encouraging empathy and a connection between the player is a question that lacks easy answers, or perhaps more succinctly is a question unique to each player’s experience. And if that sounds like an attempt to slide away from that idea for the moment, it certainly is. What I will say, is that I never felt like Lara was a precious flower I was trying to protect, but rather that Tomb Raider opens with a sense of dread in the air that persists throughout the game, so that even as players begin to level the playing field, there’s a consistent drive to seek shelter and linger in areas of short lived safety. If you wanted to talk about a game where a male protagonist is hunted through the darkness with terrifying results, we could perhaps summon the spirit of Alan Wake for discussion at a later date – though that still wouldn’t quite scratch at the situation Lara finds herself in when initially at the mercy of the Solarii cult running the island. The unnerving atmosphere gains strength from opponents that do more than simply run toward Lara while firing bullets, though they will certainly do that at times. But adversaries will also eagerly seek vantage points while opening fire and tossing explosives to force Lara out from cover while other foot soldiers close in for the kill. 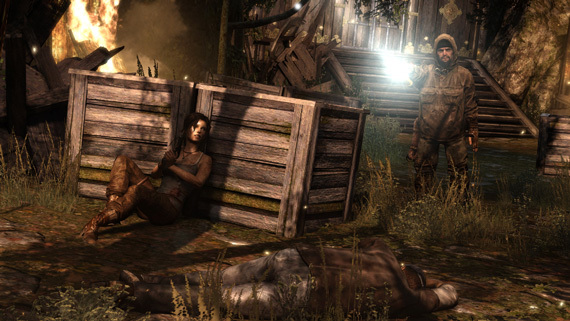 And while the game will at times force large confrontations that keep players scrambling while firing off rounds, the most memorable moments involve crawling through the darkness and listening to enemy banter before snapping their necks or burying a hatchet in their backs as Lara hunts with a desperate energy that reminds me of the better moments from 2009’s Velvet Assassin. There’s an interesting pull against the tension, where I want to run into enemies to perform melee attacks and quick time kills, but often find myself cut to ribbons in the attempt. Weapons combat is tight enough to make precision firing easy, and it’s never a chore to gun on the run and hit targets. And yet there’s something loose and open without proving sloppy, encouraging freedom in the ability to dodge attacks and spin around to fire or execute a melee attack. But perhaps tension here is most often strengthened by Lara’s body language. Whether she’s reaching out to steady herself against the side of a cliff, or defensively crouching down when enemies are ahead of her, her subtle movements seem to continually reflect the gravity of her situation and influence my reaction to the challenge. 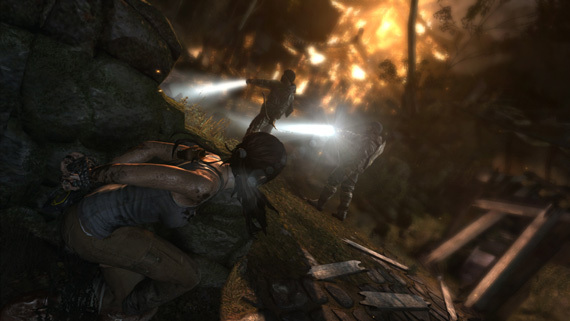 There are an equal amount of times where Tomb Raider offers a break from this tension with a more familiar experience. 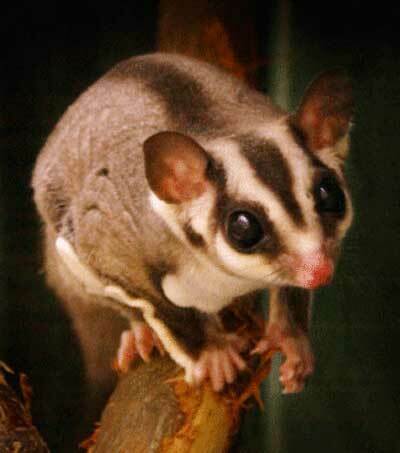 Areas of the island provide a jungle gym where players are cut loose to use zip lines and rope bridges to explore darkened caves and towering peaks at their leisure. 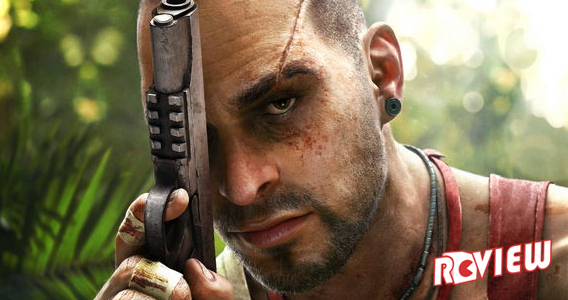 The island is littered with collectibles and side challenges that reward players with survivor points that upgrade skills, and salvage crates that can be used to upgrade weapons – looting dead enemies for ammunition and salvage becomes particularly addictive. It’s almost possible to forget about the main story and get sidetracked, running back to campfire sites to expand Lara’s abilities. And the fact that you can fast travel between discovered camp sites keeps the explorative nature of the franchise alive and well within this reboot. 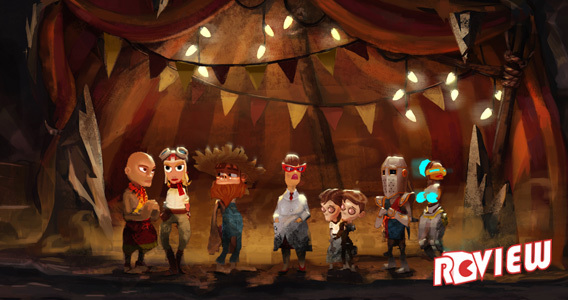 That bit around the campfire is the part of the game we accept as part of a videogame. Where we take time out from hunting and scrambling over cliffs to magically upgrade abilities with points, and where the brain ideally shuts off and accepts the sense of it. But aside from the intimate setting of a cozy camp fire, why does my brain do this? Probably because I need every advantage I can gain, learning new skills that allow Lara to swing an axe at enemies or to dodge attacks and kick dirt up into their eyes. The fact that the process is streamlined and simplistic seems like a reward for the time Lara and I spend together searching out every last crate and challenge. 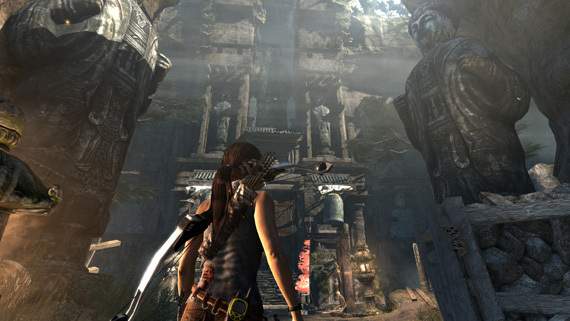 Exploration is encouraged by need, and in that act players are encouraged to find plenty of the old Tomb Raider spirit, consistently veering just off the path to find another secret. 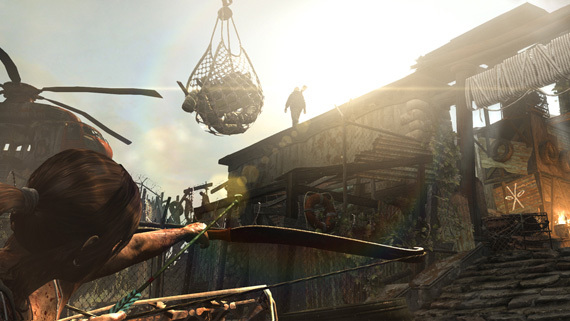 Part of the old Tomb Raider spirit also awaits players with optional tombs, hidden areas where the bread and butter of the series is refined with laser precision. While it’s quite possible to walk right by these areas, they offer physics based puzzles where the only adversary is the environment – though the ability to press a button to temporally illuminate key objects of interest ensures that players won’t spend nearly as much time scratching their heads as with every other release in the franchise. 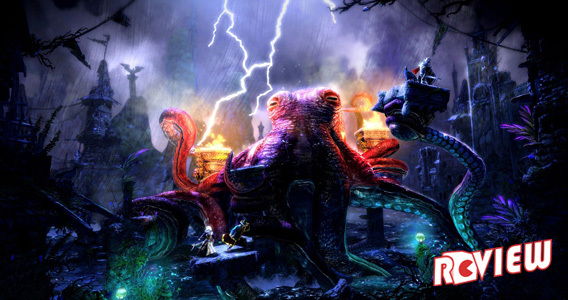 The game falls into a comfortable formula once established, balancing exploration and combat as separate pursuits seeded throughout the search to understand the nature of this mysterious island. But the greatest moments to be found here are when the two bleed together, with pockets of resistance and accidental discoveries that lead players down a road they could have entirely missed. 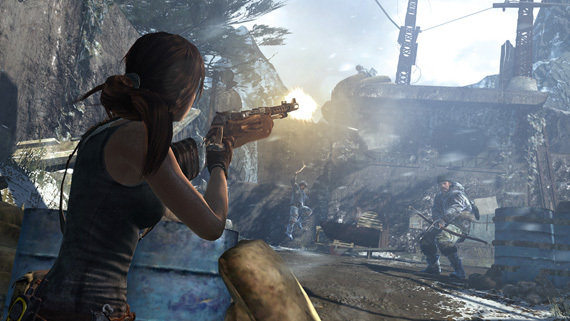 Aside from the occasional point where veering through a flowing river leaves very little room for error and invites repeated attempts, Tomb Raider’s only low-point comes from the multiplayer offering, which feels like an odd complaint given that I wouldn’t have criticized the game for skipping the attempt to include such a mode altogether. The multiplayer does a competent job of phoning in the expected death match option along with pitting two sides against one another as survivors and Solarii. 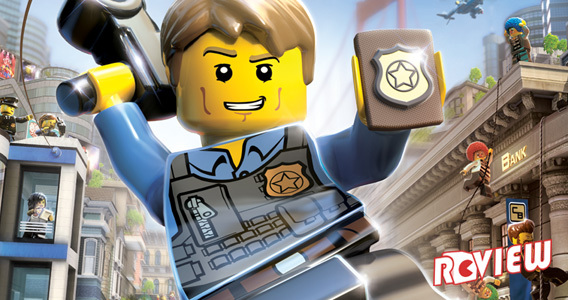 But of all the things to learn from other releases, I can’t help feeling that offering a series of co-op special ops styled missions would have done more with the material and strengthened the package. Tomb Raider focuses on the birth of a survivor rather than the emergence of a hero, and this is something I’ve been left thinking quite a bit about this week. Short of the hero’s search for glory in myth and legend, a survivor finds the strength to overcome real adversity, and in discovering the strength to survive within the self, is capable of heroic acts that not only inspire others, but provide a testament to the strength of the human spirit. And aside from the marketing, this seems critical to understanding what Crystal Dynamics has risked and accomplished here, taking one of gaming’s earliest heroes and giving us a tangible protagonist worthy of the empathetic bonds developed during this journey of survival. 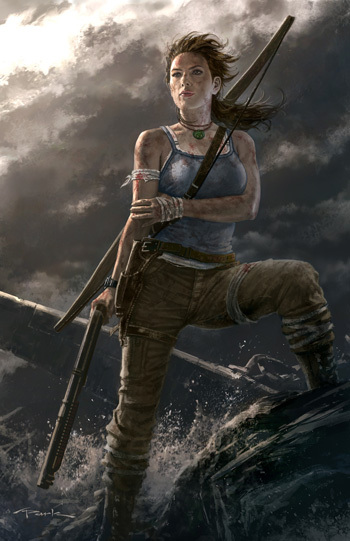 Tomb Raider offers a maturity of theme without sacrificing the more fantastic elements of the franchise, preserving the core sense of play while tackling the near impossible task of humanizing a protagonist that has existed as a legend throughout the larger share of the industry’s history. By the end of the adventure, it seems that Lara still can’t help growing into the legend we know her to be, and yet Crystal Dynamics has gifted her with a fresh sense of humanity, and more over, offered us the opportunity to finally form a real connection with the woman behind the legend. 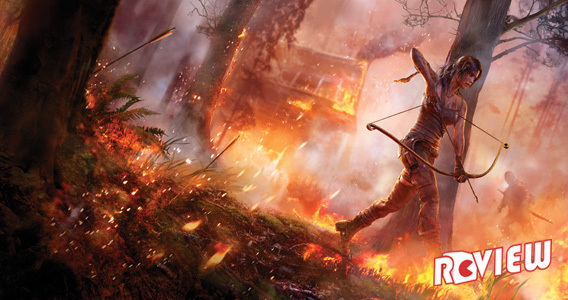 There are plenty of challenges to overcome in taking the series further in the future, but this reborn Tomb Raider takes the best of modern influences to give players the experience worthy of that legend, offering one of the finest releases we could hope for to close out this generation of console gaming.